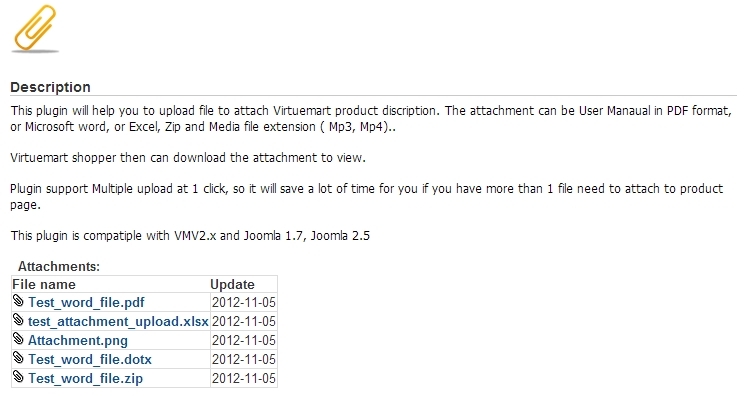 Attachment for VirtueMart product plugin allows the shop owners to attach multiple files on the product details page. 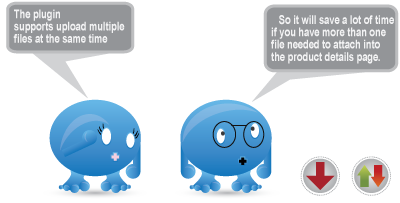 You just need to install the plugin like a normal Joomla plugin, enable it then it's ready for you to attach multiple files at once into your VirtueMart products. 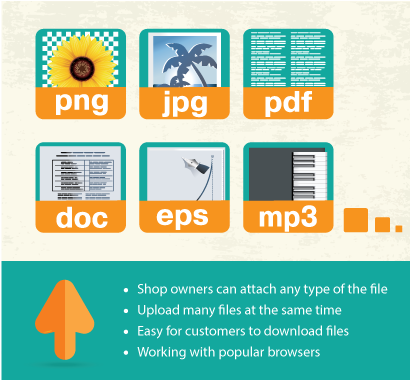 The attachment can be in PDF format, or Microsoft word, or Excel, Zip and Media file extension ( Mp3, Mp4).. Attachments can be user manauals in PDF formats, or Microsoft Word, or Excel, PNG, JPEG, Zip and Media file extension ( Mp3, Mp4).